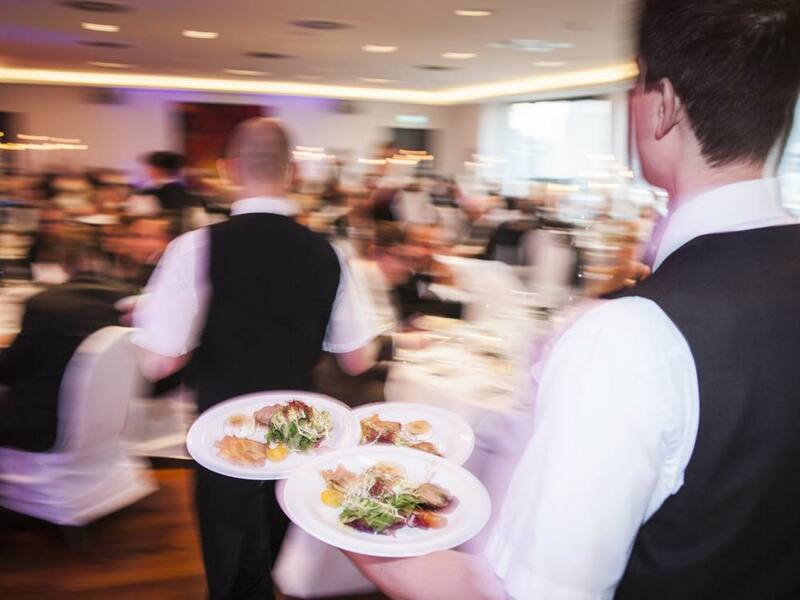 Take advantage of our more than 100 years experience in event services! 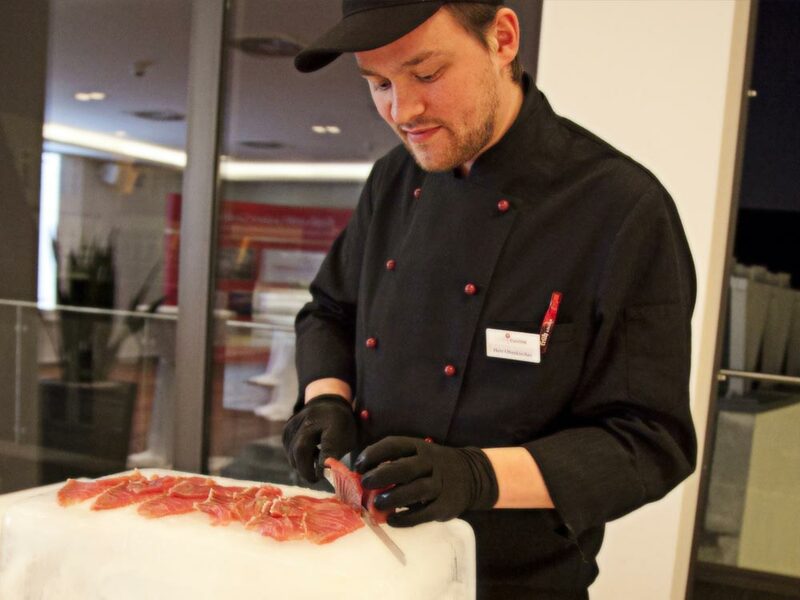 Whether you are looking for traditional cuisine, a breath-taking location overlooking the roofs of Cologne or a catering partner - the FRÜH team will help you with the planning of your event as your professional partner! 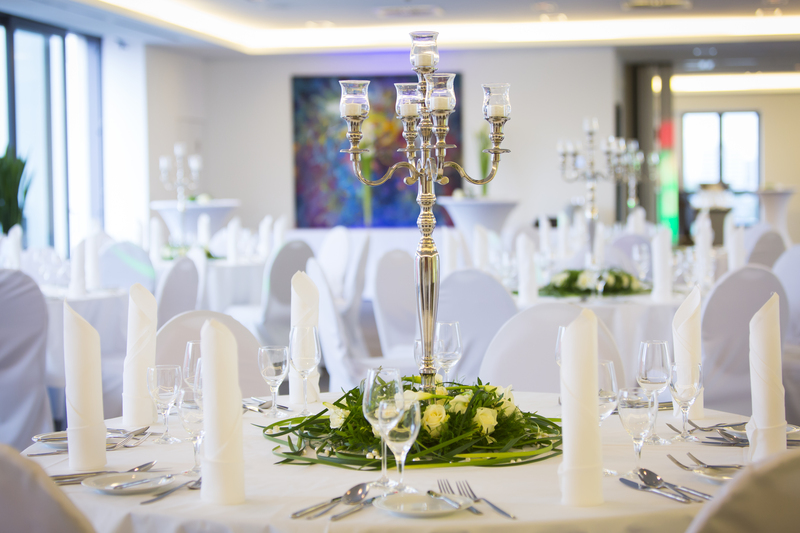 We are looking forward to implementing your wishes and exceeding your expectations. 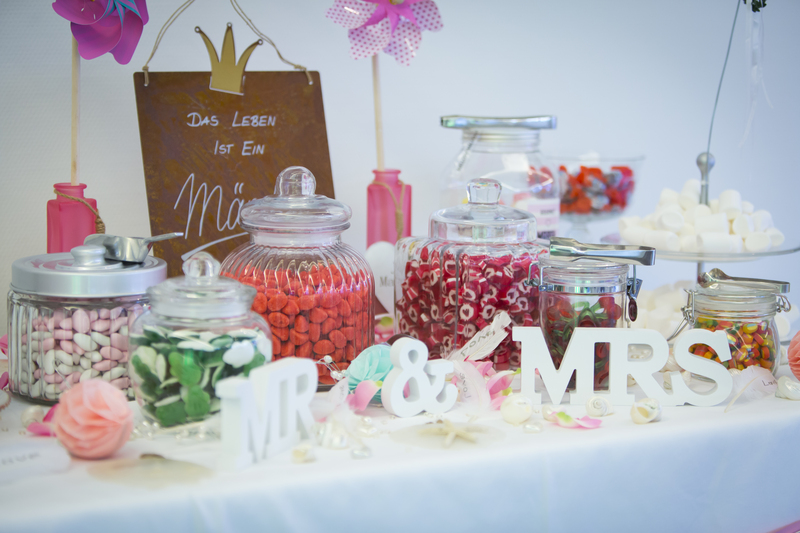 Together with you, we will develop a customized concept for your event. 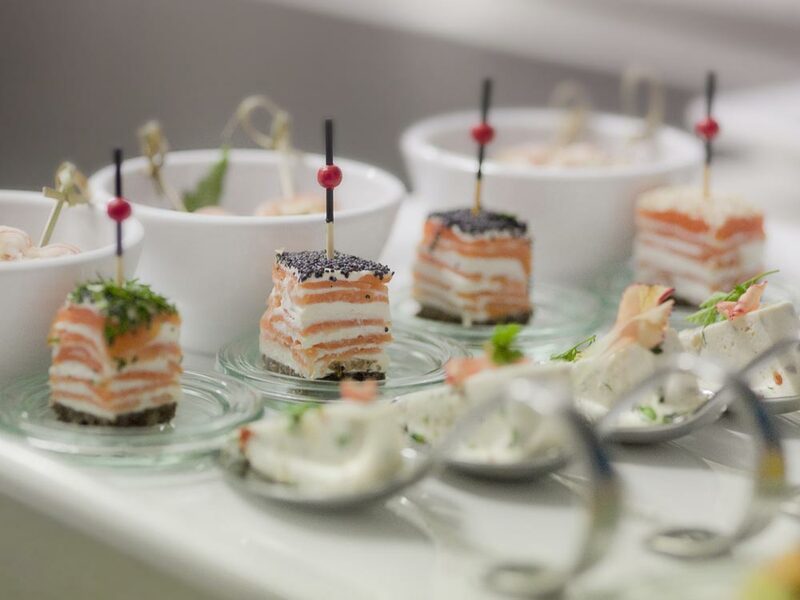 Our creative chefs prepare the finest dishes, which are conjured onto the plates of your guests right on time. 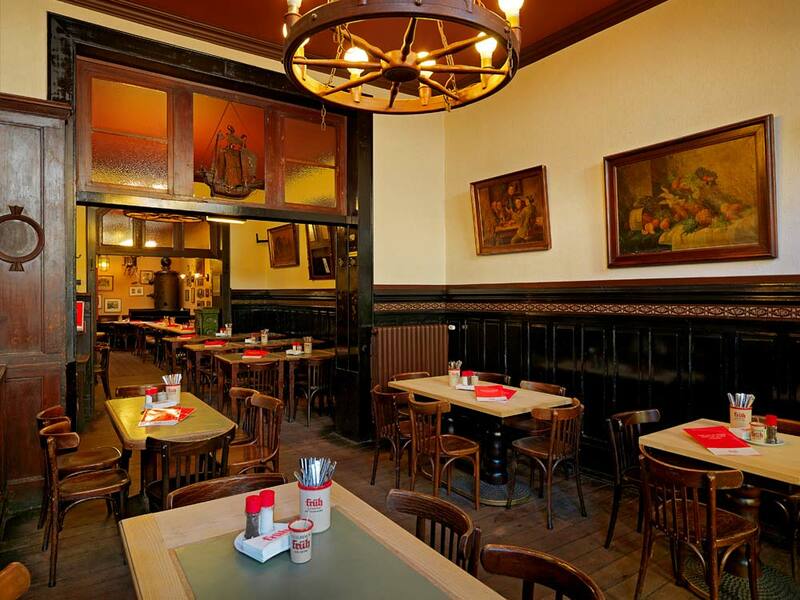 Experience our diversity - from traditional Brauhaus specialties to the finest dishes and exclusive finger foods. 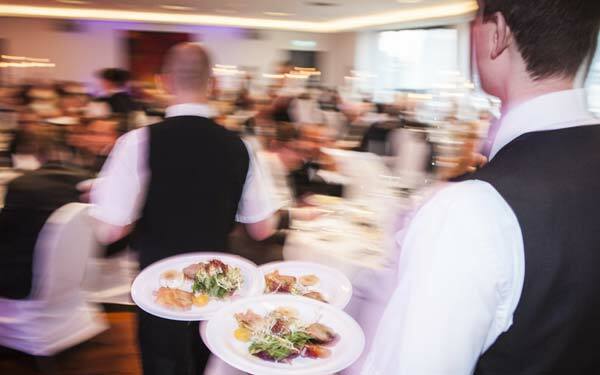 We make sure that your event runs smoothly and warmly welcome you as a guest at your own event! 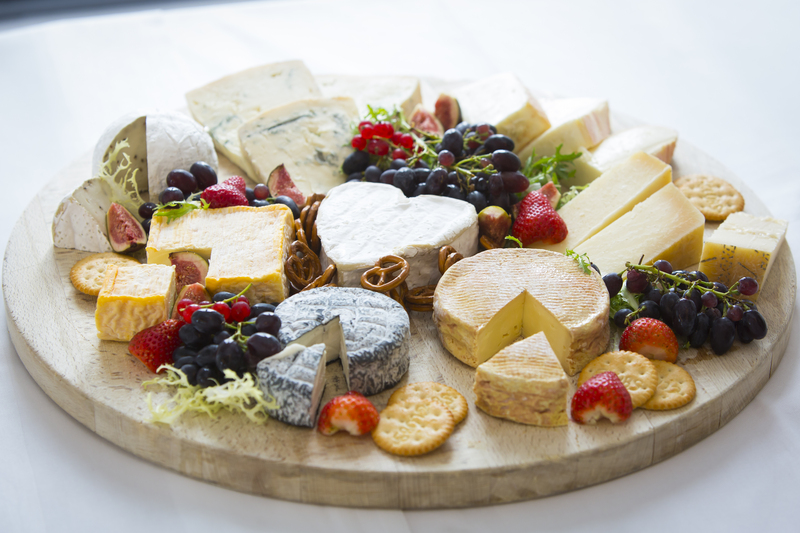 This leaves you and your guests enough time for the essentials - chatting, laughing, eating, drinking, enjoying yourself and feeling good. 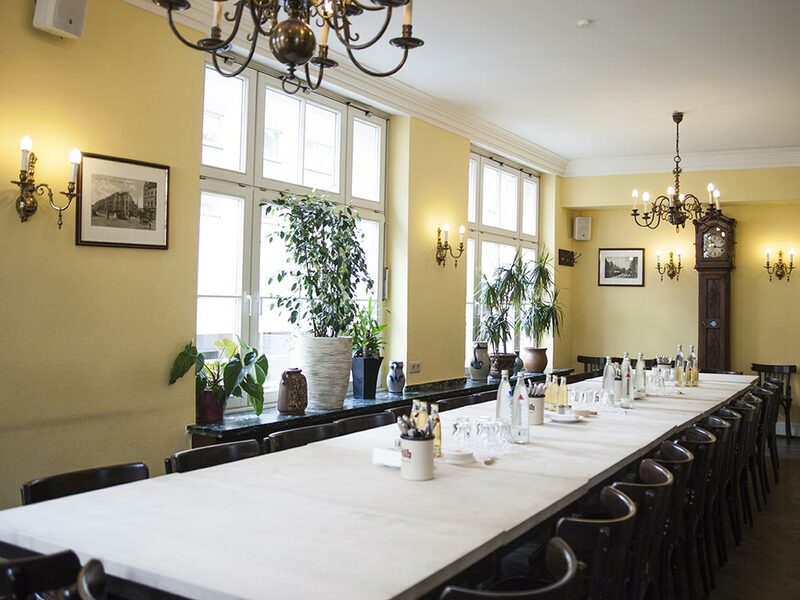 The “FRÜH Lounge” is our unique location for events of the highest standard. 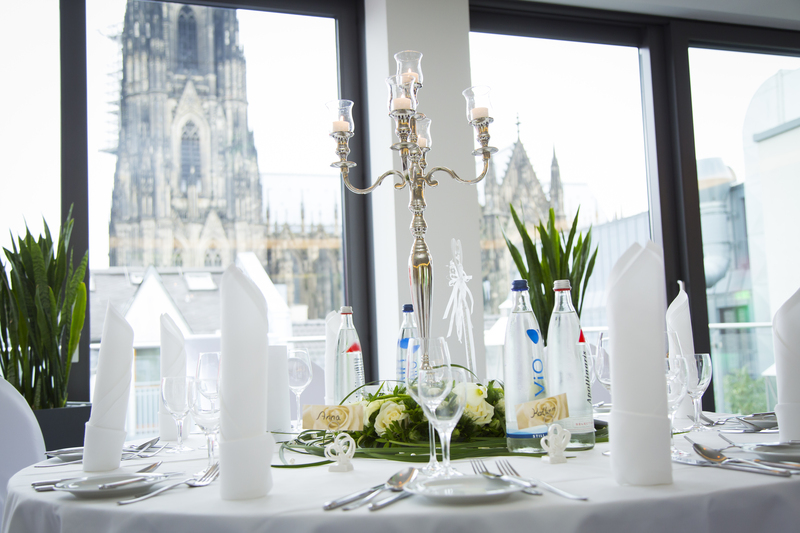 High above the roofs of Cologne, on the 6th floor above the Brauhaus, you will find our bright function room directly overlooking the cathedral. 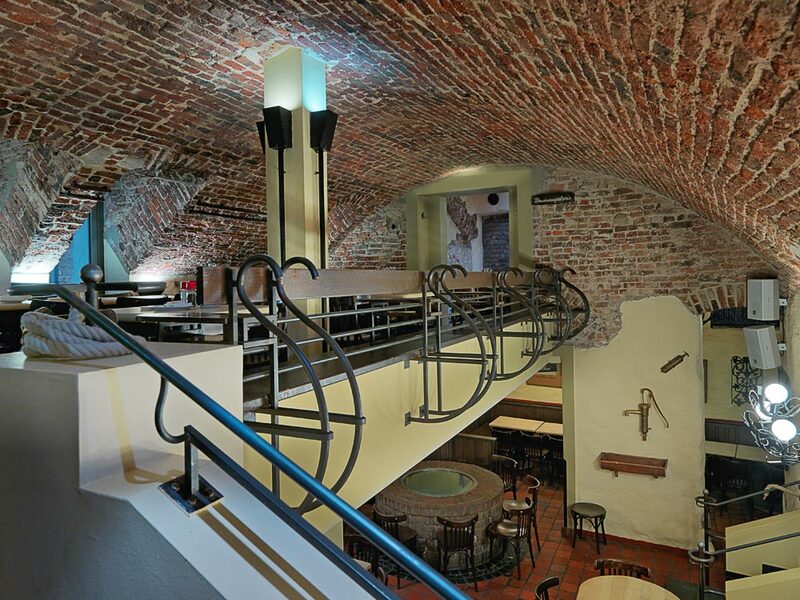 Here you can spend an unforgettable evening with your friends and family and celebrate in high spirits. 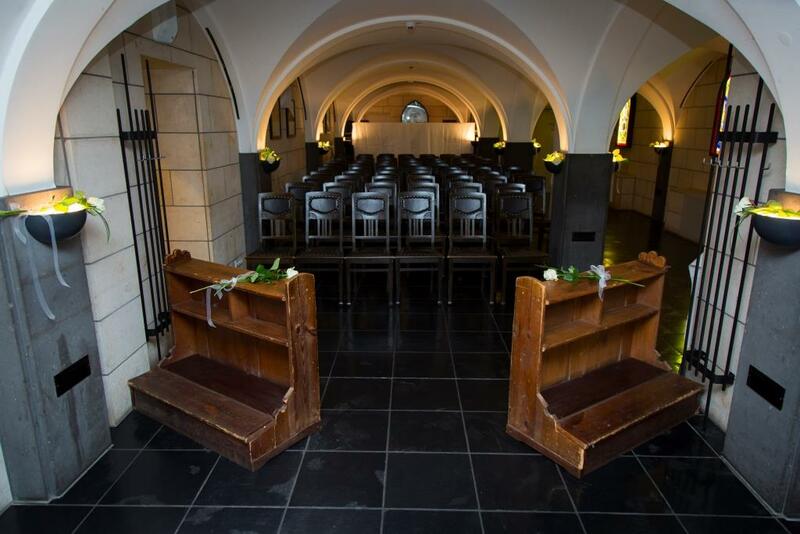 The large balcony and floor to ceiling windows invite you to view the cathedral spires. 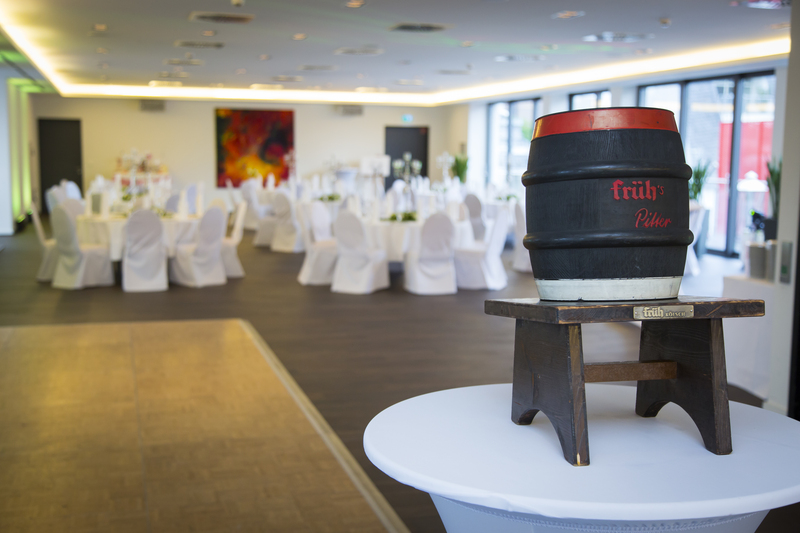 The room provides the ideal setting for 150 people, while our in-house catering “cölncuisine by früh” ensures culinary delights - everything from traditional Brauhaus specialties to gala menus and fine finger foods. 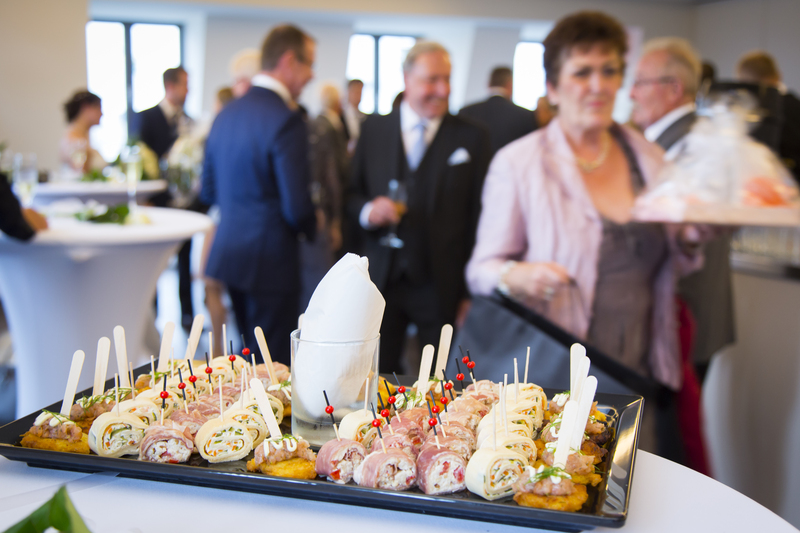 Our in-house catering “cölncuisine by früh” indulges you and your guests in the comfort of your home or in your favourite location with a great variety of buffets or festive menus, decorations and furniture. 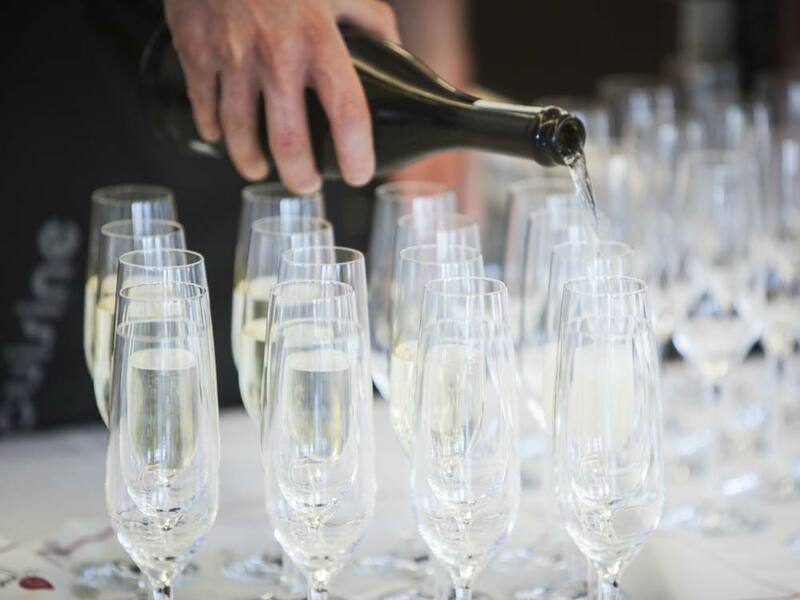 We pay attention to detail in taking care of your event and help you with the planning. 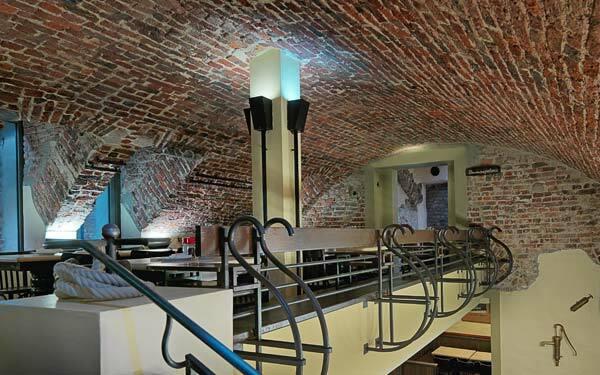 Together with you, we develop a plan that meets your needs and wishes. 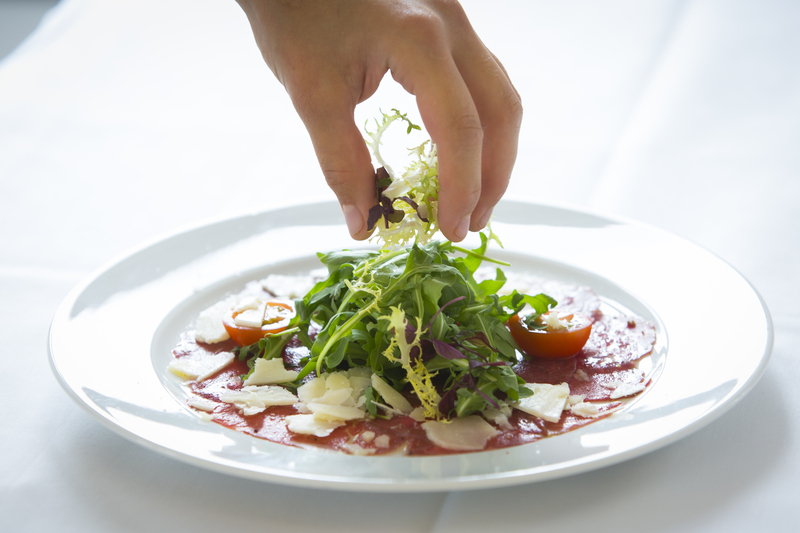 Our dishes are innovative, fresh and healthy. 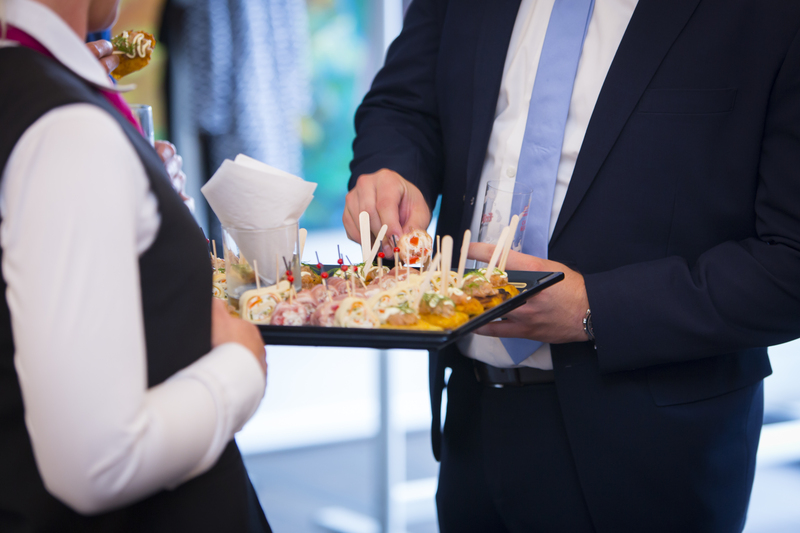 Experience tried and true delicacies in a lighter and fresher guise and let yourself be impressed by the cuisine of our modern cölncuisine. 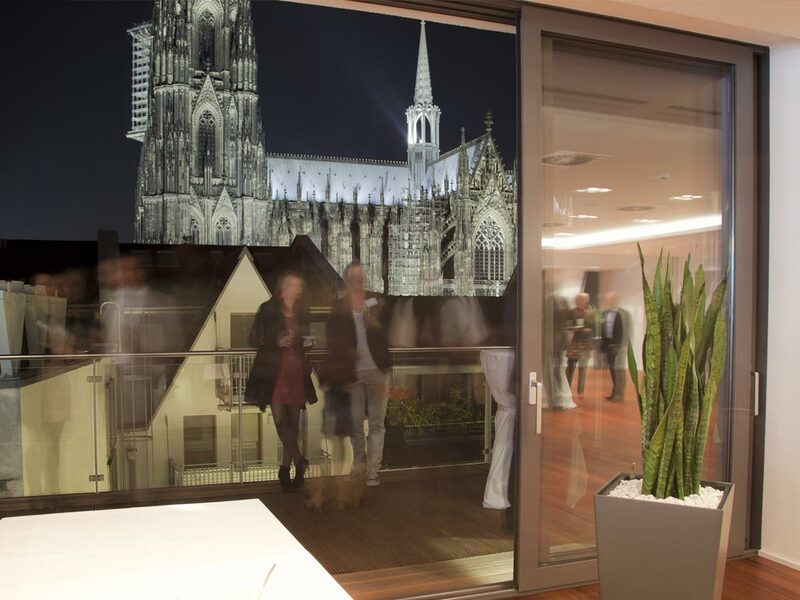 Experience our Cologne hospitality in a big way! 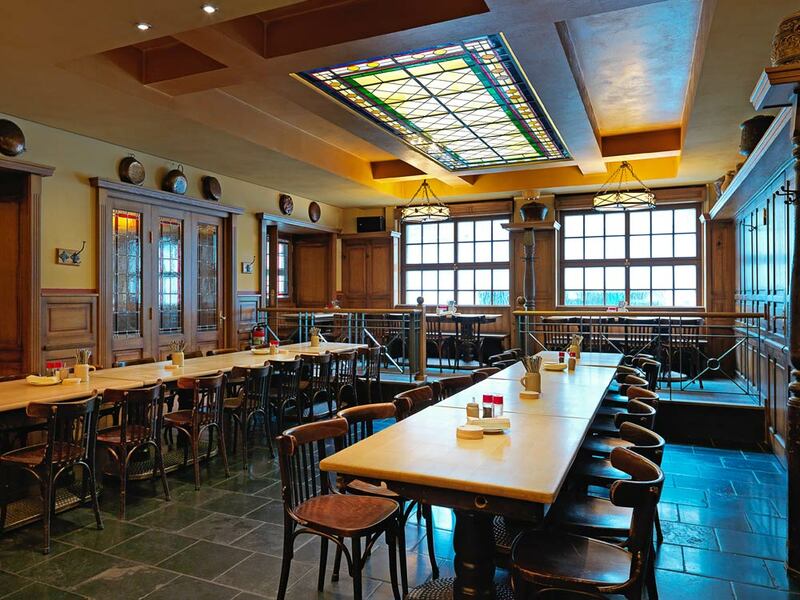 In our traditional breweries, we have the right room for you and for groups of up to 430 people - either very quaint and comfortable, or very generous in the Brauhaus cellar. 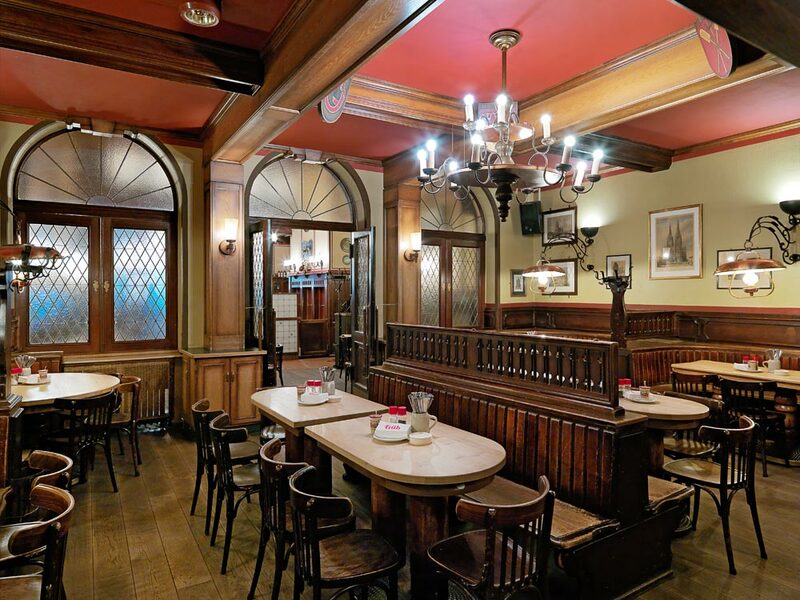 You can even book our FRÜH “Em Veedel” pub on Chlodwigplatz and the FRÜH "Em Jan von Werth" near the Gerling-Quartier exclusively for your event. 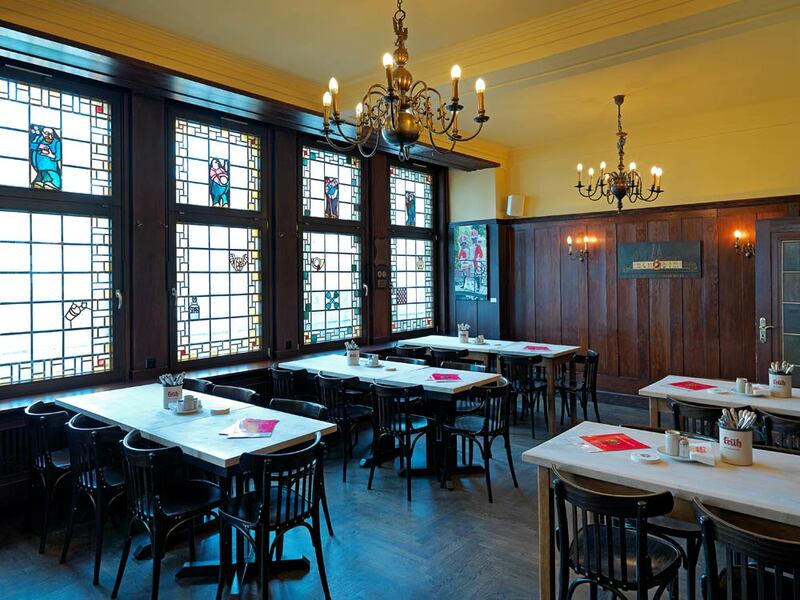 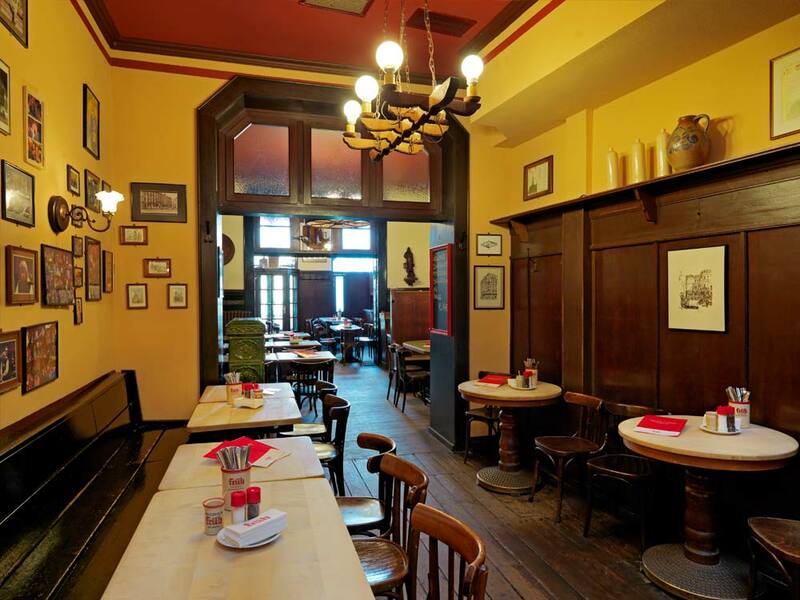 2 function rooms for up to 60 people are at you disposal on the first floor of the FRÜH “Em Golde Kappes” pub in Nippes. 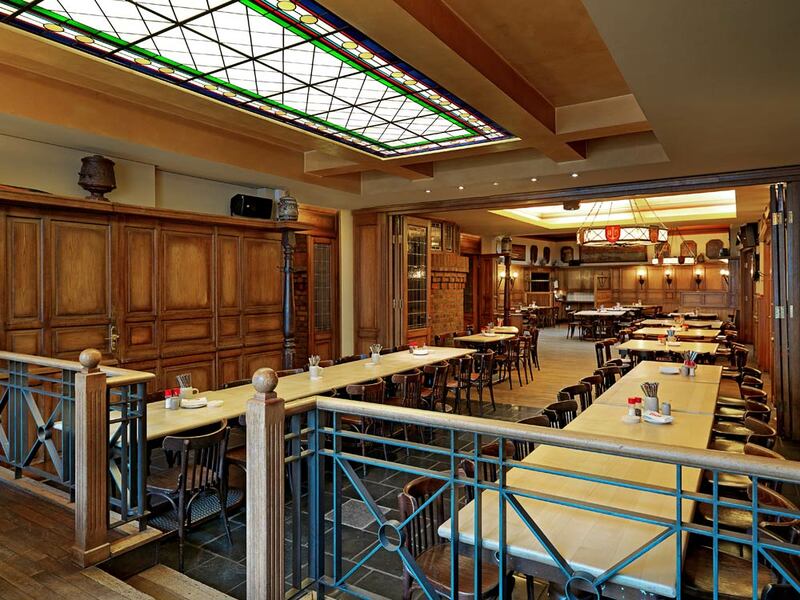 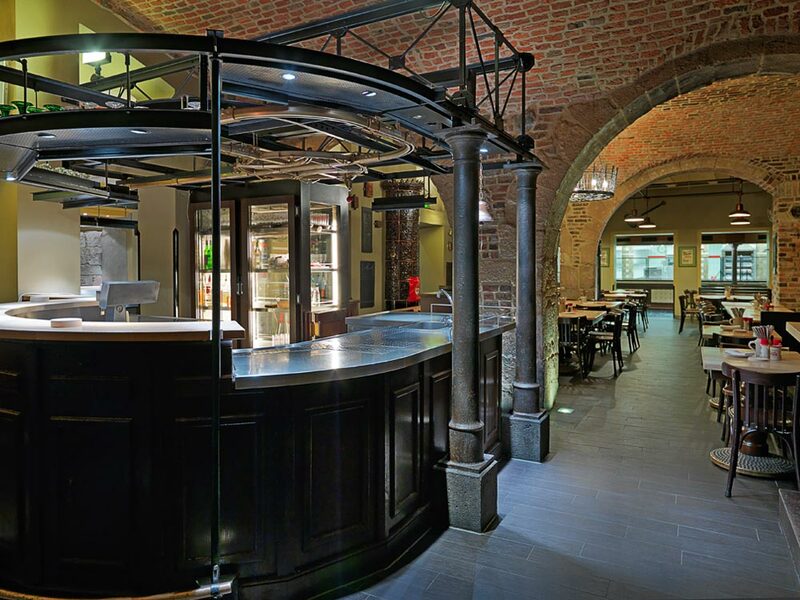 And all options are open to you in the FRÜH am Dom - from reserving a table for smaller groups or reserving the exclusive use of a cosy room to large events in our Brauhaus cellar with up to 430 guests. 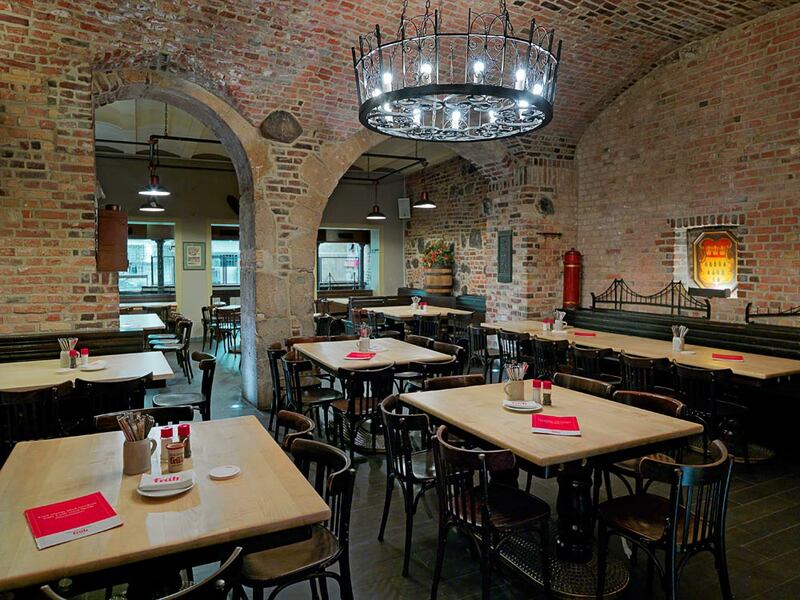 At FRÜH, your guests get a good night's sleep! 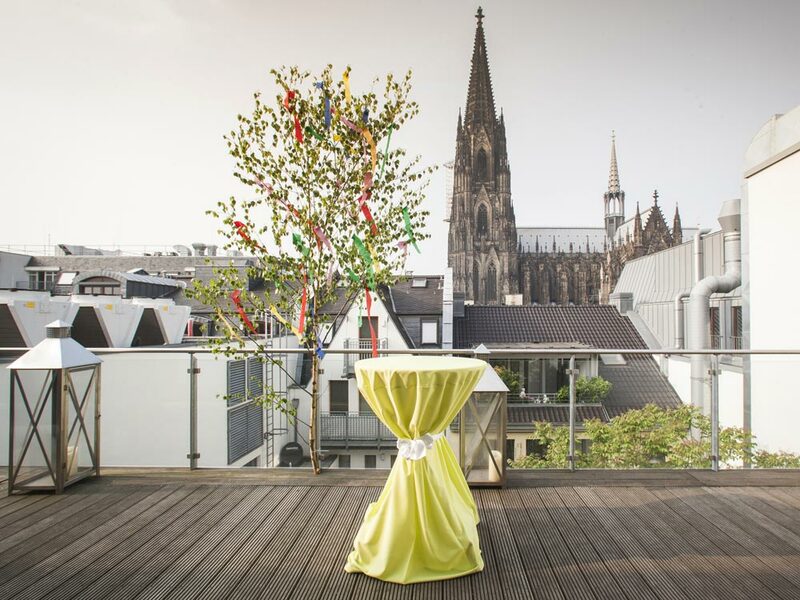 You can accommodate guests who have travelled far or who want to relax after a party in comfort at our Eden Hotel Früh am Dom. 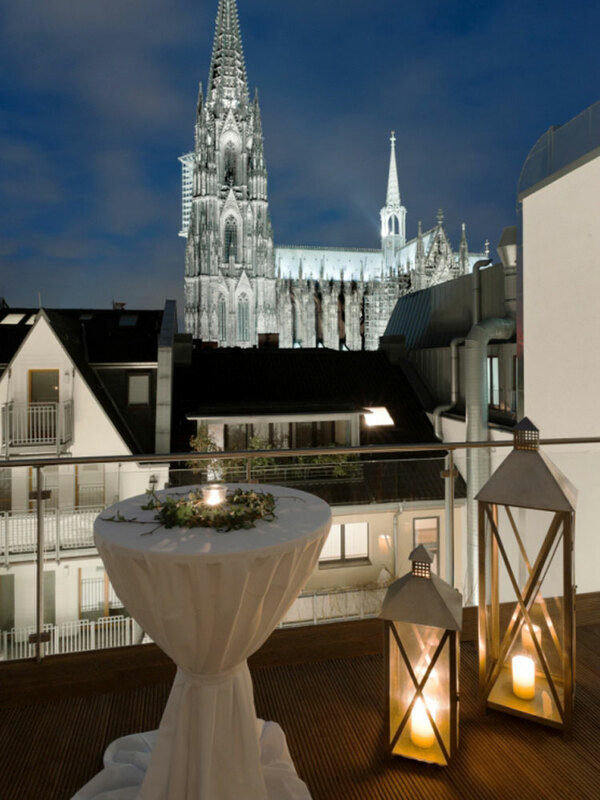 You, too, will certainly be more relaxed and enjoy your event more in the knowledge of a fresh bed with cathedral view waiting for you right next door.